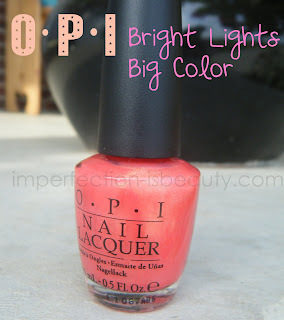 This might be one of my favorite OPI colors. Unfortunitly sometimes there not always opaque and you have to apply a few coats. This color is completely opaque the first coat. I love the gold sheer in it it really makes that orange color pop! I'm usually not a huge fan of orange nail polishes but this one has a little bit of a coral feel. I'm totally digging the bright colors this summer and I'm having so much fun with them! What's your favorite summer color? 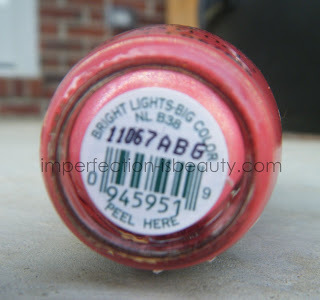 I love coral nail polish and this one is gorgeous! @Donna I am totally loving the mints right now too! They look soo pretty on any skin tone! @Gaby thank you! I love the way it looks with the gold sheer.